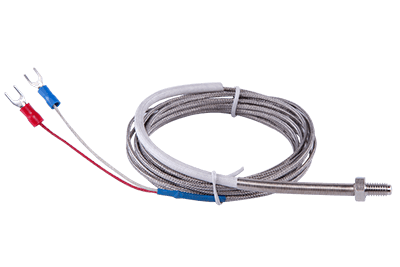 QL-Custom designs various thermocouple wires for Food Thermometers, Meat Thermometers, Infrared Thermometers, including B, S, R, K, E, T, J, N types, thermocouple wires are electrical connections between thermometer and temperature probes instruments to improve temperature accuracy. We can provide the standard level and special limited conductors. The thermocouple cable jacket usually extruded by teflon to matching high temperature usage, conductors are multiple selective, in order to reduce the external abrasion during the use we can also add a layer outside of jacket ,the stainless steel braiding or tinned copper weaving, so that not only can play a abrasion-resistant, a signal shielding are necessary.